A 17-year-old yeshivah student died of injuries sustained when he was run down by a terrorist’s van at a light-rail station in Jerusalem earlier this week. It was the second death resulting from an attack that also killed a Border Police officer, and wounded more than a dozen bystanders and police. 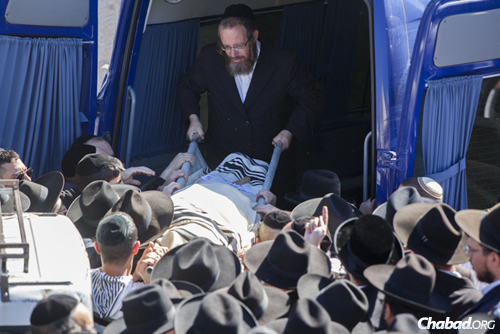 The student, Shalom Aharon Baadani, was laid rest on Friday at Jerusalem’s Givat Shaul cemetery. His funeral was attended by thousands, including Israel’sSephardic Chief Rabbi Yitzchak Yosef. A second Israeli remains in serious condition, according to a spokesperson for the Hadassah Medical Center. 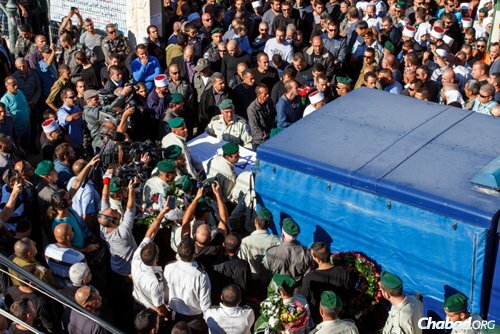 On Thursday, thousands attended the funeral in the northern Druze village ofBeit Jann of Israeli Border Police officer Jedan Assad, 38, who was killed in the attack. He is survived by his wife and a 3-year-old son. The killer, identified as Ibrahim al-Akary, 48, a member of Hamas who lived in the Shuafat neighborhood of Jerusalem, was shot and killed by police at the scene. The attack took place at a light-rail station on the corner of Bar Lev and Shimon Hatzadik streets. The terrorist continued driving along the tracks, hitting several cars along the way. After crashing into another vehicle, al-Akary got out of the commercial van with a metal bar and began attacking a group of policemen before border police at the scene shot and killed him. 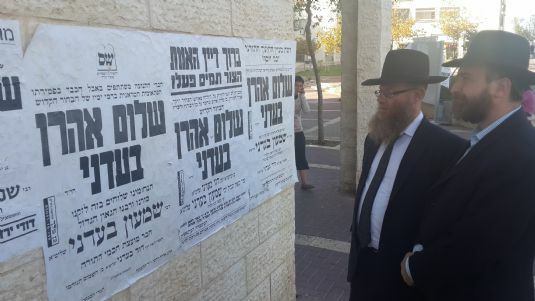 A deligation of Chabad's Terror Victims Project went to be Menachem Avel the family. Joining them was Rabbi Yaakov Barber who was visiting from Australia. CTVP will continue to be there with the family for as long as necessary to help them as they try to put the pieces of their shattered life back together.